SQL Server: Who on Earth would rebuild an index at 0.44% fragmentation?!? Within SQL Server, 8k database pages are organized into 8 page extents. Here's a good introductory resource. 1. Contiguity of database free space within data files. This isn't discussed very often these days, but look back in the Oracle forums: especially in some of the flame-throwing fragmentation discussions of old and it comes up. 2. Order of index pages compared to order of organizing index key. This idea is extremely popular for SQL Server. 3. Compactness of contents within data pages. 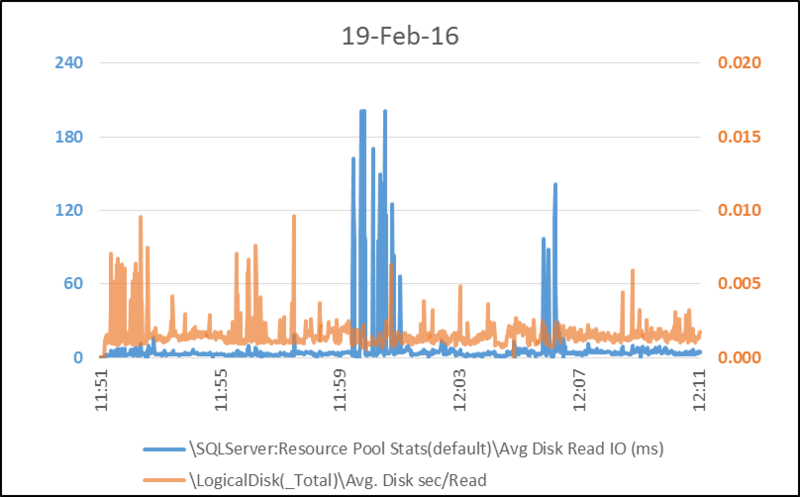 This idea is starting to gain traction in SQL Server circles, largely due to work by Paul Randal and Jonathan Kehayias, showing that low data density in hobt pages wastes database cache and by extension CPU. 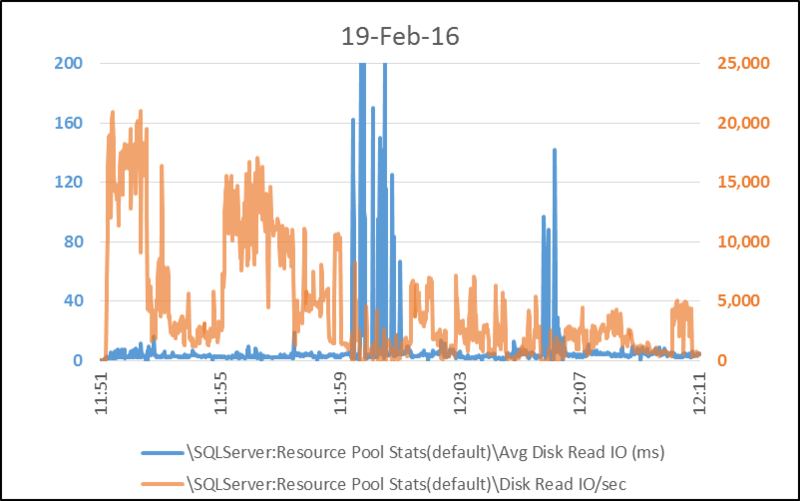 On a high IOPs system, or a system where readahead read bursts stress disk IO queue depth, increasing average read size and decreasing the number of necessary read operations can be an important part of tuning. *For example, backup reads don't need to be concerned about boundaries between hobts, but when a query requests reads from table A index B, pages from table C won't be returned even if it means lowering the total read operation count. I've got table TABLE1, with clustered index CI_TABLE1. There's also the cleverly named nonclustered index, NC_TABLE1. My database has 8 equally sized data files in the primary filegroup. Each database file is on its own LUN; that's how I roll. Well - let's look at the stalwart foundation of determining when to defragment an index. That looks pretty good, huh? Who on earth would rebuild an index with 0.44% fragmentation? I'm not the guy you want to write queries... but I will write queries in a pinch. Usually it's because I can't find a query that does what I want. So... I wrote this query. What does that mean? In this SQL Server instance, trace flag 1118 is preventing mixed extents. The query uses a 'gaps & islands' approach to group index pages into runs of contiguous extents within each database file. Then counts the number of times that runs of a single extent, two contiguous extents, and so on occur. The NC_TABLE1 index is composed of 5 runs. Two of them are single extents. One run is 4 contiguous extents of the NC_TABLE1 index. There's also a run of 7 extents, and one run of 23 extents. Is that good? NC_TABLE1 is 36 total extents. 288 eight k pages. 2.25 mb. It can be read in 5 reads - one read for each contiguous run. CI_TABLE1 is comprised of 48 extents. 3 mb. It can be read in 11 reads - again, one for each contiguous run. The SQL Server instance has the -E startup option enabled. Without that startup option, proportional fill algorithm would distribute incoming data to the 8 data files with a potential smallest allocation of a single 64k extent before rotating round-robin to the additional files in the filegroup. With the -E startup option, the smallest possible new allocation by proportional fill is sixty four 64k extents - 4 mb. Now what does sys.dm_db_index_physical_stats look like? Well - I lost a level in the nonclustered index. Yeah, the fragmentation numbers look a little better - but they were already so good no-one would bother with a rebuild. And what do results to my ugly 'gaps and islands' query look like now? With -E, each pass of the proportional fill algorithm will send up to 64 extents of new allocations to each file. There was no other DML activity on the server, and I ran the rebuild at DOP 1. There actually are 3 contiguous runs of CI_TABLE1at or approaching 64 extents. NC_TABLE1 now has all of its data pages in a single contiguous run of 21 extents. I've got more research to do, and more work to do on the contiguity query (it doesn't distinguish between reserved but unallocated pages, doesn't distinguish between data pages and index pointer pages, etc). But I wanted to finally get this blog post out here - ideas I started working with in my "Hunch about SQL Server Fragmentation" series. For very disk intensive workloads, there's an aspect of fragmentation missing from the threshold people use to decide when to rebuild/reorg. And that same aspect of fragmentation is largely missing from the evaluation of effectiveness of rebuild/reorg. 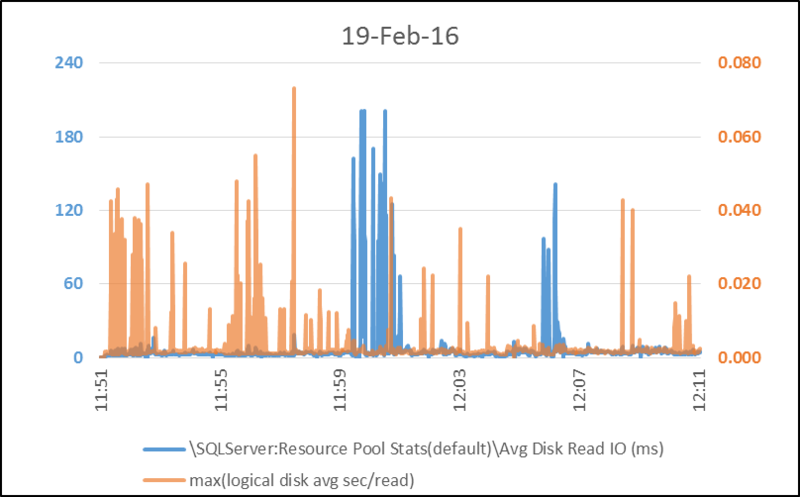 When an AlwaysOn Availability Group replica changes status, it also means a shift in the wait stat start time and the wait stats themselves (difference SQL Server instance may have a very different profile). There are various ways to identify the SQL Server instance start time. 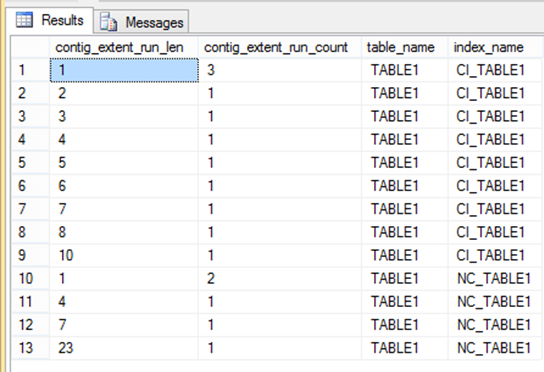 The query below retrieves data from sys.dm_os_sys_info and from tempdb - two common estimates of SQL Server instance start. I've heard that sys.dm_os_sys_info isn't available in Azure - I'm personally too timid to be cloudin' right now :) I added to the query an estimate I'm fond of - the (minimum) SQL Server transaction log writer start time. There's another estimate in there: sqltrace_wait_est_start. A clever idea - find a wait type exclusive to a system process that spends almost all of its time sleeping. 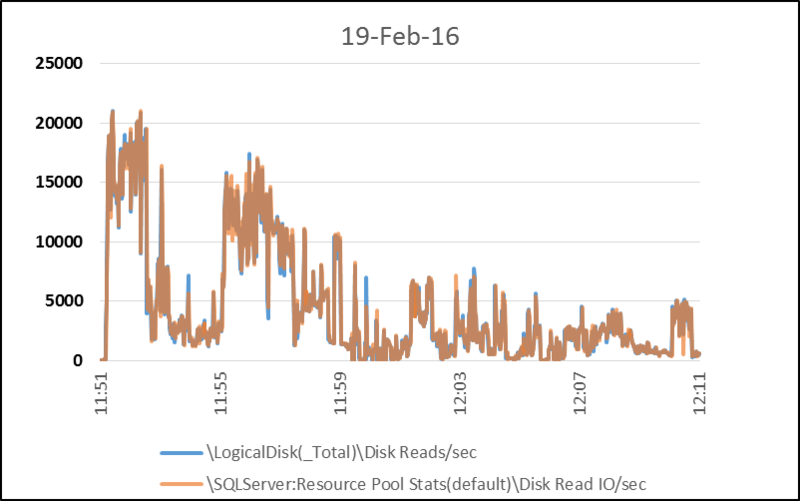 The accumulated wait time for that wait type is then approximately the amount of time since wait stats were last reset - whether due to a SQL Server restart or due to an explicit command to clear the wait stats. This is an idea I owe to the following blog post. When was sys.dm_os_wait_stats last cleared? Now - this doesn't directly help to identify a status change in an Availability Group. But if grabbing wait stats at regular intervals, the estimated instance and wait stats start times can be retrieved, too. Changes in these estimated start times can then be responded to accordingly when reviewing wait stats. SQL Server 2016 Query Store - export & import? Looking around for a good way to export and import query store from SQL Server 2016. I'm performing large scale comparisons of the legacy cardinality estimator and the new cardinality estimator in SQL Server 2016. I've captured over 9000 queries in two flavors. First execution was SQL Server 2016 compatibility mode with trace flag 9481 (to force use of legacy cardinality estimator) & trace flag 4134 (I'll retire as soon as its confirmed the wrong results issue is corrected by default). The second execution was with no trace flags enabled. The database will soon be replaced with another test bed - approximately 1 TB larger. I'd love to be able to compare behavior against the existing database to behavior on the larger database. If all else fails, I'll set all user index & column stats to norecompute then truncate all user tables. Then shrink the database and smush it into a single file. That would preserve all the info I am interested in - and I could compare stats & query store across the smushed database and the new test bed.